Professional mold designers now have everything they need to completely design an entire mold assembly – core, cavity and moldbase – in one package. Pro/ENGINEER Complete Mold Design combines all the features of Tool Design and Expert Moldbase, offering a powerful combination of capabilities for specialized mold assembly creation. Automates the creation of mold core, cavity, moldbase assemblies, and applicable documentation. Simple, process oriented workflow results in dramatically faster tool design time. 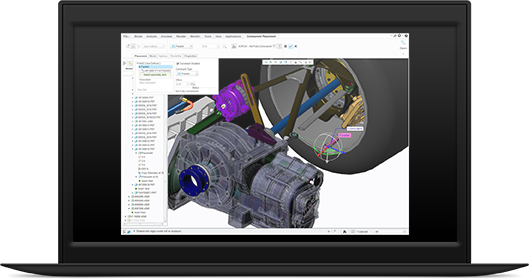 Eliminates data translation between part design, mold design and NC tool path creation. Reduces need for redesigns through automatic updating of tooling models, drawings and electrodes. Eliminates costly rework via interference checking and mold opening simulation.